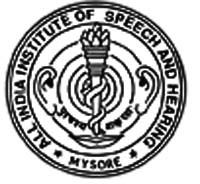 AIISH Mysore Notification 2018.All India Institute of Speech And Hearing(AIISH), Mysore has released a notification for the recruitment of Regular Faculty Posts.Check the eligiblity and notification prior to apply for the positions. Discipline: Speech Sciences, Audiology, Speech Pathology/ Language Pathology, ENT, Clinical Psychology, Electronics & Acoustics/ Electronics. Qualification: Masters Degree, M.Phil, Ph.D. with teaching/ research experience. How to apply: Candidates may send their applications to the Director All India Institute of Speech and Hearing, Manasagangothri, Mysore. Last date for submission of filled in application: 17.08.2018.